SIBU (Nov 7): The Housing and Local Government Ministry (KPKT) will look into the needs of longhouse residents in the state who fall under the B40 category. The Star reports that KPKT minister Zuraida Kamaruddin said that the aid would include housing and basic amenities, and that residents who had been neglected by the state government would be given assistance first. “I visited five longhouses in Kanowit. They have been neglected by the state government and local representatives. As they are in the B40 group, I will see how we can help them and one way is to put them in the mainstream housing agenda similar to the PPR (People’s Housing Project),” she was quoted as saying. Rumah Unggkang, Ludan, Meluda, Ngunmbang and Belalai were the longhouses she visited. Meeting with four longhouse chiefs in the Nanga Ngungun area, she was informed that they had not received their monthly allowances for 10 years, allegedly for supporting the Opposition. 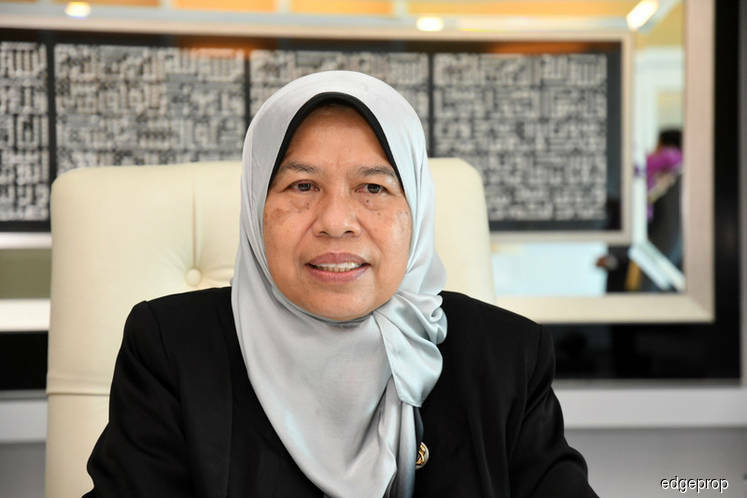 Regarding issues of native customary rights (NCR) land titles, Zuraida said that she would bring the matter to the attention of Water, Land and Natural Resources Minister for action. What is Dasar Komuniti Negara?